The weather was very warm this June and as a consequence the flowers were finishing early. Although I love to see the lovely Campanula, it is always a sign that the flower season is coming to an end and the hot dry Summer is starting, with its lack of flowers around Elounda. 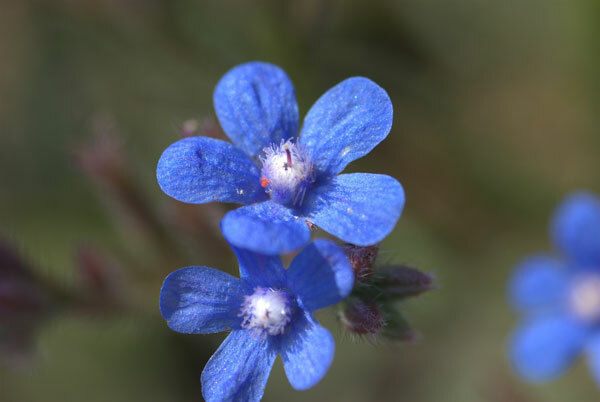 Anchusa azura / Large Blue Alkanet / Αγχουσα η γαλάζια / Italienische Ochsenzunge - This is the tallest and most brilliantly blue anchusa on Crete. It is very common in abandoned fields and on roadsides. Arum ideaum / Αρο τηζ Ιδηζ / Idagebirge-Aronstab - This is a small, endemic arum which can be found in the mountains, often under B. cretica, oak or cypress trees. 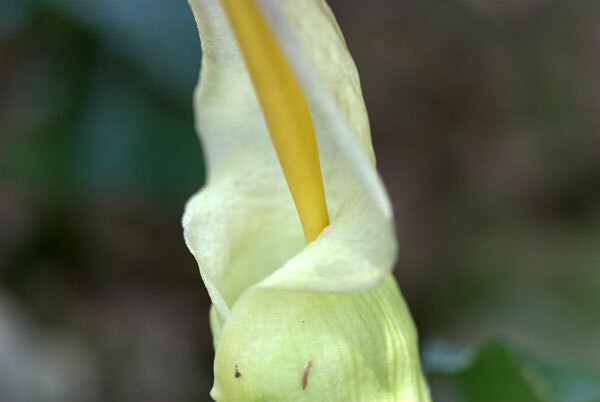 It has large, glossy leaves which often hide the little flower. 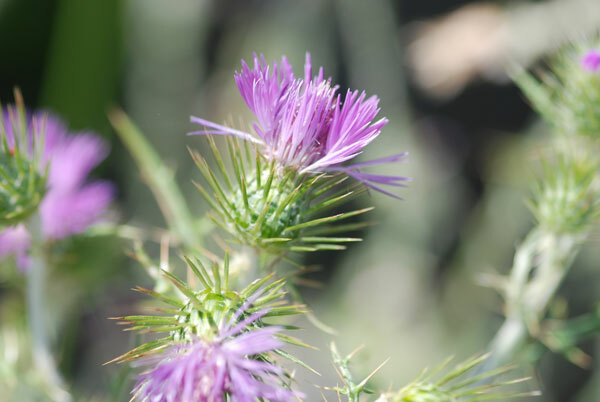 Thistle - Although I have spent a long time trying to identify this Compositae I have been unable to make an accurate choice. Help would be appreciated. 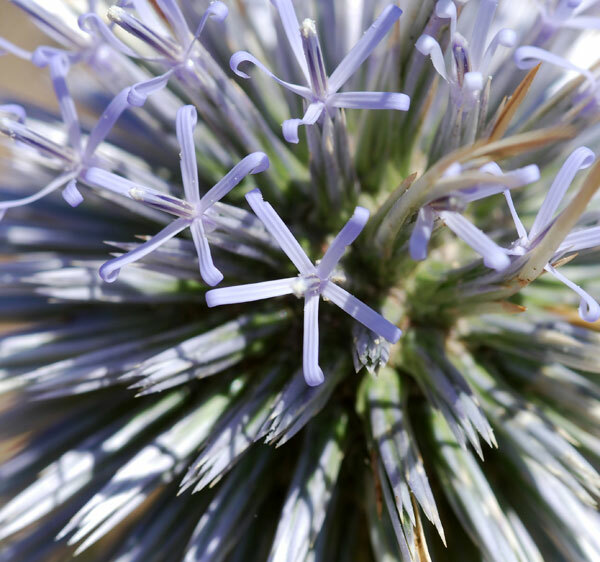 Echinops spinosissimus / Spiny globe thistle / Εχχίνοψ ο ακααανθότατος / Kugeldistel - This perennial thistle can be found in dry, stony locations all over the island. It is often seen on the roadside. Its name is taken from the Greek word for ‘spiny’. 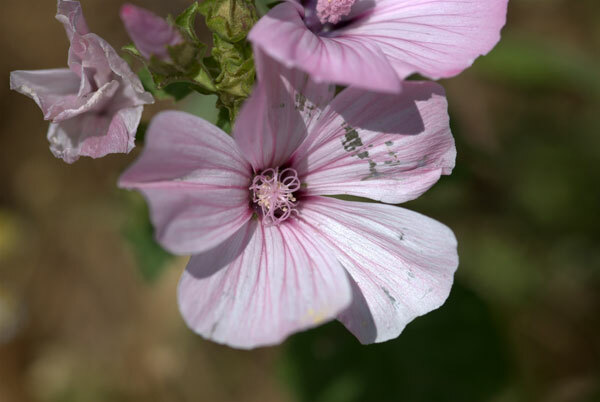 Lavatera arborea - These beautiful flowers can be recognised by the dark staining at the base of each petal. 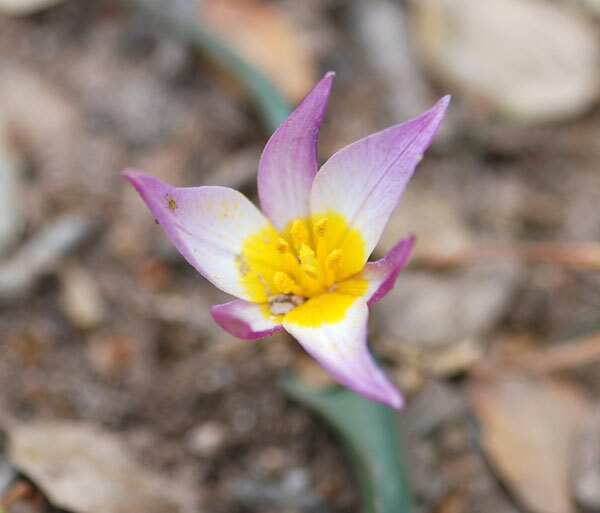 Tulipa cretica / Cretan Tulip / Τουλίπα η κρητικί / Kretische Tulpe - On a trip out into the mountains to try to find one last orchid, we found T. cretica growing on the side of the track – much to my excitement. This is the first time I have seen this exquisite little tulip in the wild. The only other time I have seen it was at Kew Gardens on a visit there with John and Gareth last year. To see a wild specimen was such a thrill. 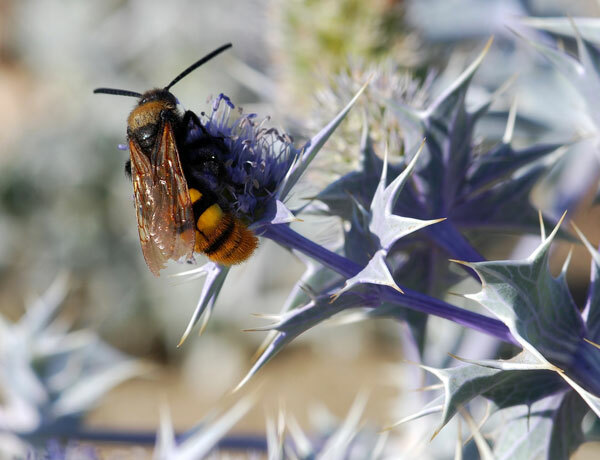 Hornet on Eryngium - The wonderful combination of the large black and yellow hornet with the subtle blues and greys of the Sea Holly make this a subject I cannot resist. 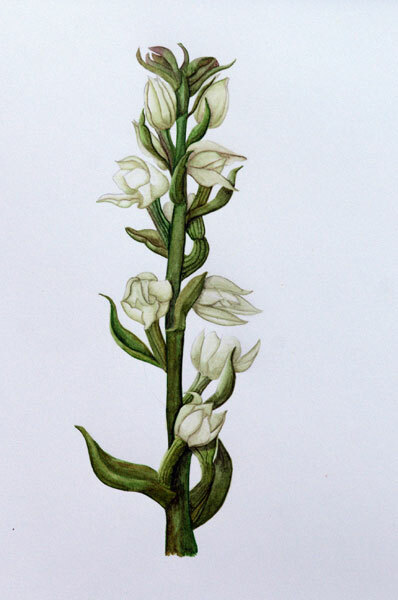 Cephalanthera cucullata / Hooded helleborine / Κεφαλανθηρο το καλυπτροφόρο - This watercolour by Julia Jones features a very rare, endangered, endemic orchid which is found occasionally in forests on the three main mountain massifs. 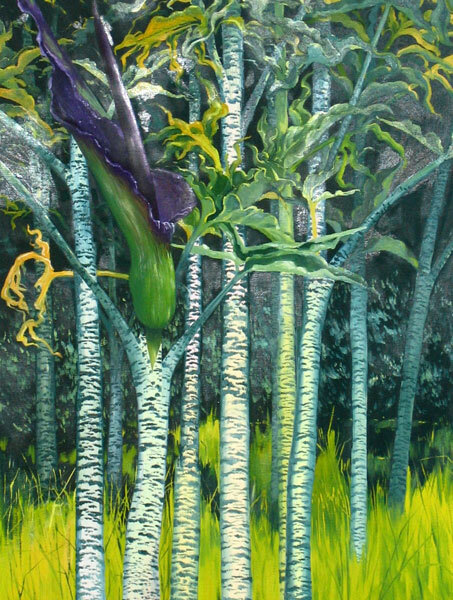 Dracunculus vulgaris - Jan Liodaki’s superb painting of the striking stems and leaves of the Dragon Arum.